From the perspective of the big picture of their long-term bilateral ties, China-India relations will constantly improve, with cooperation at local levels playing a decisive role in the process. Interactions between southwestern China and India can be traced back centuries. Historically, one branch of the well-known Southern Silk Road extended from the southwestern Chinese province of Sichuan to Myanmar via Yunnan Province and then connected to Assam and Manipur in northeastern India, and another branch route ran northwards along the Ancient Tea-Horse Road to Tibet via Dali, Lijiang and Zhongdian (now known as Shangri-La) before reaching India. The Southern Silk Road was an ancient route linking southwestern China and India as well as one of the earliest international trade conduits connecting China to the outside world. In the 1990s, scholars in southwestern China took the lead in carrying out academic exchange with their Indian counterparts. Academies of social sciences in southwestern China launched a joint meeting to discuss theories and practice of the region’s opening up, offering plenty of farsighted research results for southwestern China to open to the Indian Ocean region and South Asia. From 1997 to 1999, Yunnan Province dispatched a number of academic delegations to visit India. Through mutual visits and consultation, the academic circles of the two countries creatively conceptualized the initiative known as the Bangladesh-China-India-Myanmar (BCIM) Economic Cooperation. 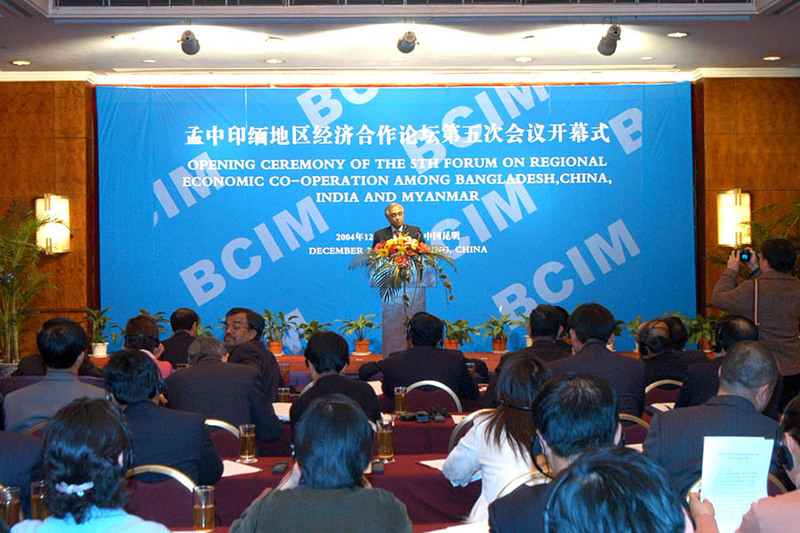 In 1999, the first BCIM meeting for regional economic cooperation and development was held in Kunming, capital of Yunnan Province, which was later renamed the BCIM Forum for Regional Cooperation. At the turn of the 21st century, China launched the western development strategy. Local governments in southwestern China responded actively by formulating relevant implementation plans and action plans. Yunnan Province promulgated three strategic goals, one of which was to build an international channel linking China to Southeast Asia and South Asia. Noticing the trend that China adopted policies in favor of its western regions, India began to attach greater importance to exchange with regions in southwestern China. As a result, cooperation and exchange at local level gradually began booming. In a 2015 joint statement between China and India during Prime Minister Narendra Modi’s visit to China, the two countries agreed to establish a State/Provincial Leaders’ Forum. The first meeting of the Forum was held in Beijing on May 15 of the same year, with participation of Premier Li Keqiang and Prime Minister Modi. Yunnan is one of the first Chinese provinces to carry out cooperation and exchange with India. Cooperation between academic institutions, local governments, enterprises, and chambers of commerce of the two countries also is seen throughout the province. Moreover, other southwestern provinces and regions have carried out meaningful interactions with India. Thanks to the efforts of both sides, economic cooperation between Yunnan and India has witnessed explosive growth. From 1999 to 2015, annual trade volume between the province and India rose from US$27 million to US$764 billion, increasing more than 28 fold. In 2013, the China-South Asia Expo settled in Yunnan, becoming a significant platform for China to promote opening up and cooperation with South Asia. The number of South Asian tourists visiting Yunnan grows with each passing year, of whom 90 percent come from India. Enterprises including Yunnan Construction Engineering Group, Yunnan Metallurgical Group and Yunnan SUNPA Image Tel Tech Co., Ltd. have established cooperative relationships with the Confederation of Indian Industry (CII), the Federation of Indian Chambers of Commerce & Industry (FICCI) and Indian companies. As the first Yunnan enterprise to establish a joint venture in India, SUNPA has jointly developed more than 80 electronic products with its Indian partners, which sell well in Africa and Southeast Asia. Sichuan Province has started innovative and fruitful agricultural cooperation with India. Since 2004, the Rice Research Institute of Sichuan Agricultural University has collaborated with Nath Seed Company, the biggest seed supplier in India, to conduct experiments and demonstrations concerning over 30 species of hybrid rice. Not only have they contributed to improving India’s grain output, promoted advanced cultivation techniques and helped local farmers increase their incomes, they have also set a good example for China-India cooperation. Though a late starter, Guizhou Province has caught up in terms of cooperation with India. In 2015, Guizhou Maritime Silk Road International Investment Corporation signed an agreement with the Indian state of Andhra Pradesh, according to which the two parties would have investment cooperation in areas such as infrastructure construction, manufacturing, power, renewable energy, and environmental protection. Alongside setting up a branch in India, Kaiyang Phosphorus Mine in Guizhou joined hands with India’s Coromandel International Ltd. to sell its phosphorus products in South Asia. FortuneShip Group, a mobile terminal device solutions provider headquartered in Guizhou, has established 22 assembly lines and 10 packing lines in India, with capacity to produce 2.5 million units of cell phones per month. The MCM smartphones it produces sell well in the Indian market. Academic exchange between Chinese and Indian research institutions and think tanks plays a crucial role in local cooperation between the two countries. China-India academic exchange has witnessed a stable and sound development since the 1990s. Many universities and South Asian research institutions in provinces such as Yunnan and Sichuan have persistently maintained interaction with Indian academia, and the two sides have organized international academic conferences including the China-India Cooperation Forum, the China-South Asia Think Tank Forum (renamed the China-South and Southeast Asia Think Tank Forum in 2017), and the Trans-Himalaya Development Forum. Projects promoting new strategies for economic and trade cooperation between China and India, connectivity of the BICM border areas and construction of the southwest passage of the Third Eurasian Continental Bridge are attributed to research institutions in southwestern provinces like Yunnan and Sichuan. China and India have reached a consensus to promote cultural exchange, especially in the field of education. As the world’s two ancient civilizations with brilliant cultural heritage, exchange and mutual learning of traditional cultural concepts and civilizations between the two countries serve as an important cornerstone for the lasting development of their ties. With the support of the two governments, the first China-India Yoga Summit was held in Dali, Yunnan Province, in 2014. Over the following three years, the annual India-China International Yoga Festival was held in Kunming. Yunnan Minzu University also collaborated with the Indian Council for Cultural Relations to establish a yoga school. Yunnan has promoted courses in South Asian languages such as Hindi, and taken the lead in sending local officials to learn Hindi in both Chinese and Indian academies. As early as the beginning of the 21st century, Dali University in Yunnan Province had already begun enrolling Indian medical students. Currently, a large number of students from India and other South Asian countries study at Yunnan colleges and universities including Dali University, Kunming Medical University, Yunnan University and Kunming University of Science and Technology. Sichuan Province and Chongqing Municipality have adopted a new philosophy in education cooperation to attract investment from top Indian IT enterprises. India’s National Institute of Information Technology (NIIT), the largest global software training institution, has established branches in Chengdu and Chongqing. Breakthroughs have been made in promoting sister-province/state and sister-city relationships, which become an integral component of China-India local cooperation. After years of efforts by local governments in Yunnan and Sichuan, when the Joint Statement between the People’s Republic of China and the Republic of India was signed in 2013, Kunming and Kolkata, as well as Chengdu and Bangalore, became the first pairs of sister cities in the two countries. During the 2013 Kunming-Kolkata car rally, Indian spectators queued along the route to greet contestants. On the sidelines of the 2015 China-South Asia Expo, the Indian embassy in China organized a grand art performance titled “The Night of India.” In the process of building itself into a “famous software city” globally, Chengdu followed Bangalore’s lead with an aim to become one of the two Eastern leaders in the software industry alongside the Indian city. To date, China and India have established 14 pairs of sister cities and provinces, including Sichuan and Karnataka, Guizhou and Andhra Pradesh, and Chongqing and Chennai, signaling a boom in bilateral cooperation at local levels. Between 2013 and 2015, China and India issued several joint statements to voice support for bilateral local cooperation. Their local governments seized the opportunity to promote relevant cooperative projects. China announced the Belt and Road Initiative and plans to accelerate construction of the BCIM Economic Corridor on the basis of mutual consultation. India is expanding its connectivity with Myanmar and Thailand through its Act East Policy, which will dock with the BCIM Economic Corridor. Today, China and India are pressing ahead on research of detailed plans to build the BCIM Economic Corridor as scheduled. In 2018, the two countries will ask Myanmar to host the fourth joint work group meeting. When visiting Yunnan in 2017, Indian ambassador to China expressed hope that India would actively promote the construction of the BCIM Economic Corridor. Some Indian think tanks believe that the BCIM Economic Corridor is a noteworthy landmark of mutual consultation between the four countries involved. In this context, China-India local cooperation is showing new dynamics and hinting at a bright future. China-India economic and trade cooperation at local levels is seeing persistent growth. Both countries support their local governments to strengthen trade and investment cooperation to fully tap into their existing and potential complementary opportunities in certain fields designated in the five-year plan for China-India economic and trade cooperation, including pharmaceuticals, information technology, tourism, textiles and agricultural products. In 2017, trade volume between Yunnan Province and India saw a year-on-year increase of 20.5 percent. In June 2017, the mayor of Siliguri, a city in the Indian state of West Bengal, led a delegation to visit Yunnan. In August, a subsequent delegation comprised of entrepreneurs from West Bengal also visited the Chinese province. After they reached a sister-province/state relationship in 2016, Guizhou Province and Andhra Pradesh set up a joint work commission and signed agreements to promote cooperation in areas such as infrastructure, public health and big data. The government of Andhra Pradesh invited Guizhou to participate in its new town construction and has provided support in terms of policy and land requisition, showing strong momentum in cooperation. Cultural exchange remains a major realm of China-India cooperation. Think tank interaction and education cooperation will continue moving forward. Early this year, the Yunnan Higher Education Fair was held in New Delhi, India, and the China-India Taichi International Academy opened. Meanwhile, delegations of representatives from universities and think tanks in the Indian states of West Bengal and Odisha consecutively visited Yunnan Province to expand cooperation. The China-South and Southeast Asia Think Tank Forum will be held on the sidelines of the 2018 China-South Asia Expo. 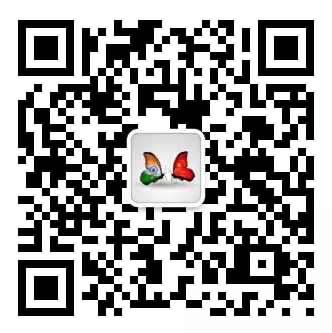 Cultural exchange between China and India is gradually becoming regular. In November 2017, an artists’ delegation from West Bengal visited Yunnan Province. Both Yunnan and West Bengal boast distinctive traditional ethnic cultures. Through jointly organizing expos and galas, the two sides have strengthened their cultural exchange. China and India will effectively promote cooperative projects concerning art, exhibition, cultural heritage protection and other areas, many of which will be carried out at local levels. Industrial parks have become important platforms for China-India cooperation. India has long drawn lessons from China’s policies on developing industrial parks. Impressed by Chongqing’s manufacturing industries, India expressed hope to attract more enterprises from the Chinese municipality to invest in India. In return for this, Chongqing announced it would build factories in Indian cities renowned for automobile industry including Chennai. Guizhou Province will formulate a plan to jointly construct an information technology industrial park with India in 2018, which is expected to begin implementation in 2020. Moreover, China announced it would set up two industrial parks in Indian states of Gujarat and Maharashtra, respectively. Guangdong Province and Gujarat State have established a sister-province/state relationship, and Shanghai and Mumbai have become sister cities. Supported by the Modi administration’s “Make in India” initiative, China’s coastal provinces and municipalities will also start pragmatic cooperation with India’s local governments. Despite the negative impact of the 2017 Dong Lang incident, the big picture of long-term China-India bilateral ties will constantly improve thanks to cooperation at local levels which plays a decisive role. China and India have agreed that maintaining sound economic cooperation and cultural exchange is an integral part of promoting bilateral ties and mutual understanding. Increasingly expanding local cooperation and exchange will be conducive to improving China-India relations and at the same time bring prosperity and stability to the greater region. The author is former president and research fellow of the Yunnan Academy of Social Sciences and the Yunnan Academy of Southeast Asian and South Asian Studies.